One of the biggest challenges to most apparel manufacturers is the finding orders with familiar handwriting. Many manufacturing plants who are performing well and achieving decent efficiency are the ones managed to secure similar product categories with similar standard minute value range (SMV). This inevitably helps the production floor as well as whole organization to running smoothly with minimum disruptions. Here are the some of the most important advantages of specializing in one or few product lines. 3. Another important area where most manufacturing plants lose money is having to rent or hire machinery to accommodate new styles. Most companies do not give enough thoughts during the planning stage to calculate the total cost of machine hire when considering new product lines. It is noted that in overlock machines number of lower loopers breakage is higher in knit production than woven. Each looper cost excessive of $35 and if the factory has more than 3 loopers damaged during the day, most of the profit wiped off. 4. Machine parts also another critically important area to focus when deciding on unfamiliar product lines. For an example, a factory specialized in woven products notices there are many new orders in the market for polo T-shirts. 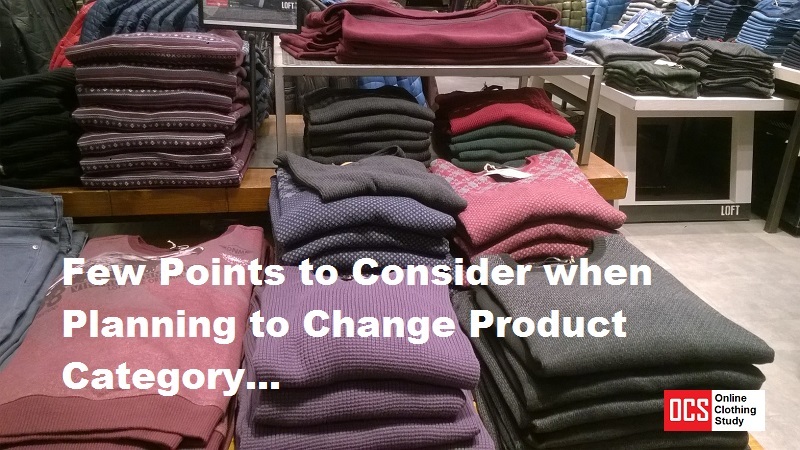 Merchandising Manager feels it is wise to tap into that market and convince Factory Manager to open-up one line for it. Let’s say the team is cautious and calculate a low efficiency and prepare the team accordingly to train relevant employees on the new product line to avoid surprises. However, it is noted that many decision makers forget to calculate the specific costs associated with each product category. Most knit fabric needs needle changes every few hours to avoid damage to the fabric. buyers insist on using ball point needles which considerably expensive than normal needles. Some technical managers insist using plastic foots whereas woven can do with the metal ones. Fabric relaxation and cutting procedure totally different in knit compared to woven. It’s more time consuming and need expertise to ensure due consideration given to fabric shrinkages and laying procedure. These are just a few examples just to highlight that there are many hidden costs which are not visible unless conduct a detailed study when making an important decision such as changing product categories. Sometimes you may need to change product categories to feed work on the shop floor. When doing so what all things you should consider? Read this post to know the answer.